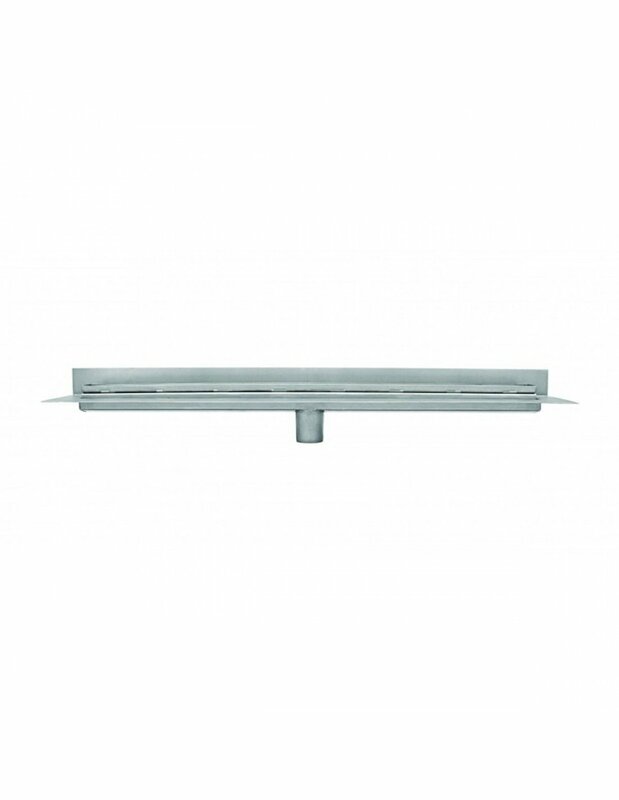 Wedi Riolita Optima 700 mm long linear shower drain incorporate a flange all an four sides of the drain body. 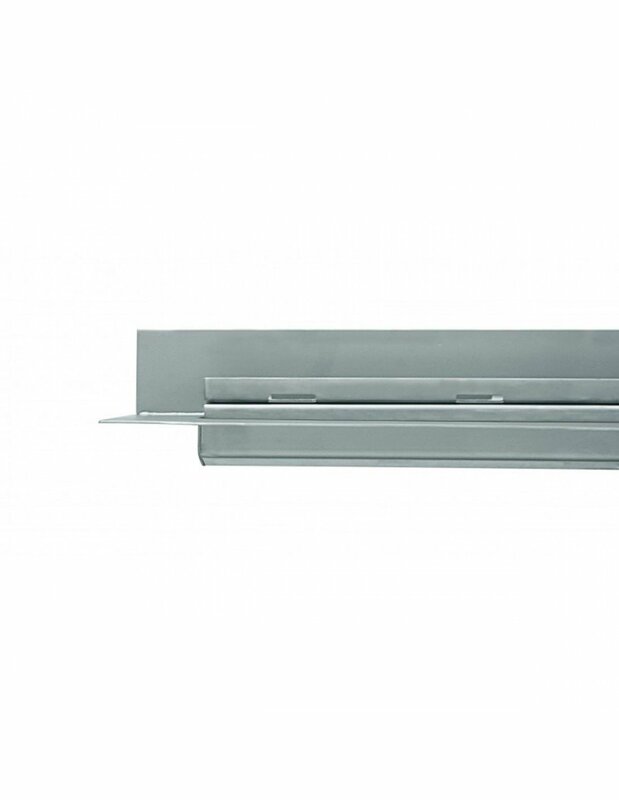 In one side collar is folded, which facilitates the mounting of the wall and ensures optimum offset grid from the surface of the tile arranged on the wall. The tiles surrounding the drain are glued down onto the flange creating an excellent seal. 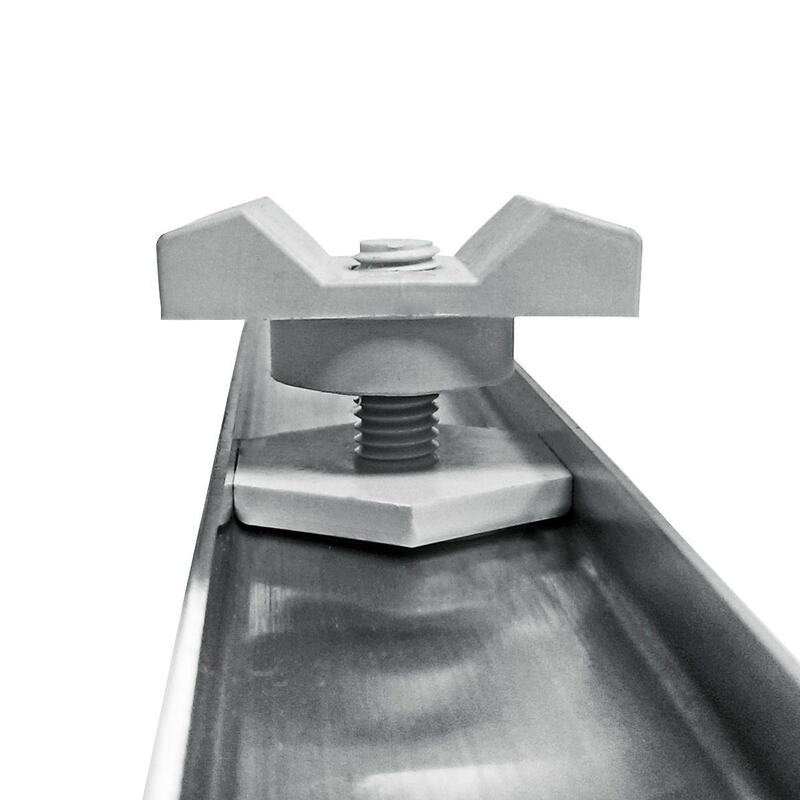 The channel is complemented by a high quality stainless steel trap. 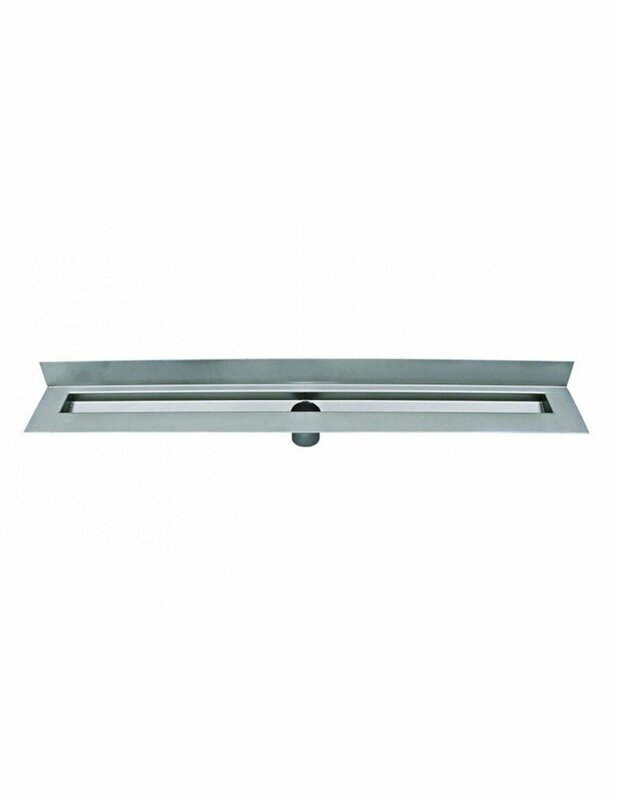 The entire drain is made of 304 S 15 grade stainless steel. 304/304L (UNS S30400) is the most common and widely used stainless steel. It is an austenitic stainless steel with non-magnetic properties in the annealed condition that offers good corrosion resistance to both chemical and atmospheric exposures, with a high resistance to oxidation. 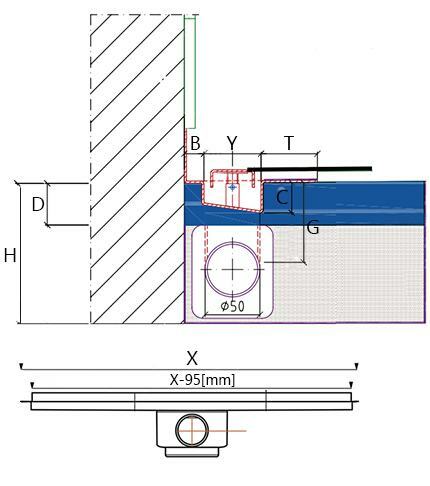 Type 304/304L has good forming and excellent welding characteristics. 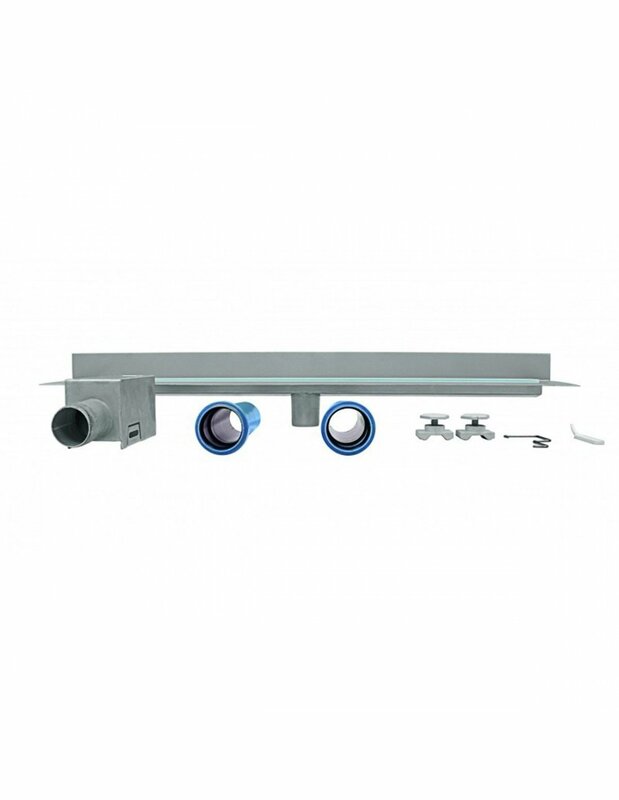 It is non-hardenable by heat treatment. 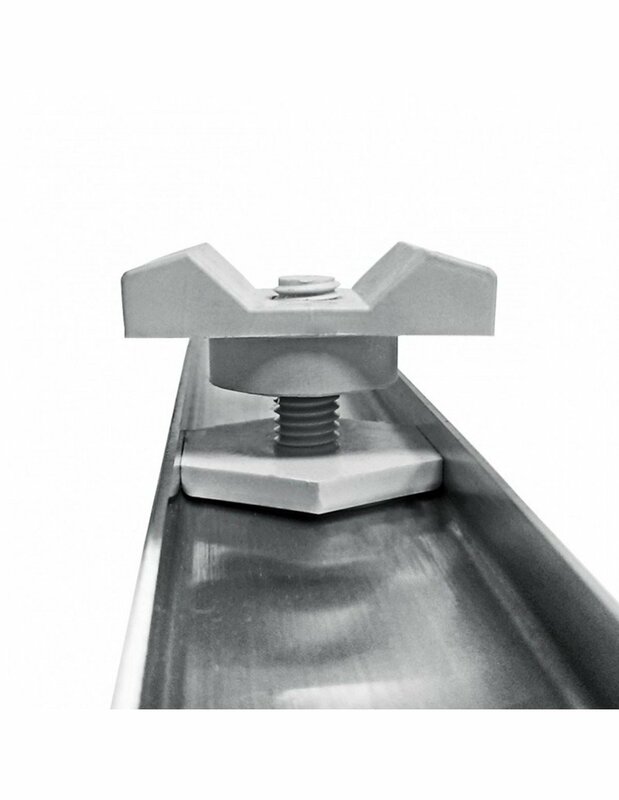 Our channels are supplied with adjustable legs to make installation easier. Also, you can choose grating design between stylish stainless steel, modern blue glass, tileable channel or classic standard grid. Adjustable legs are included. 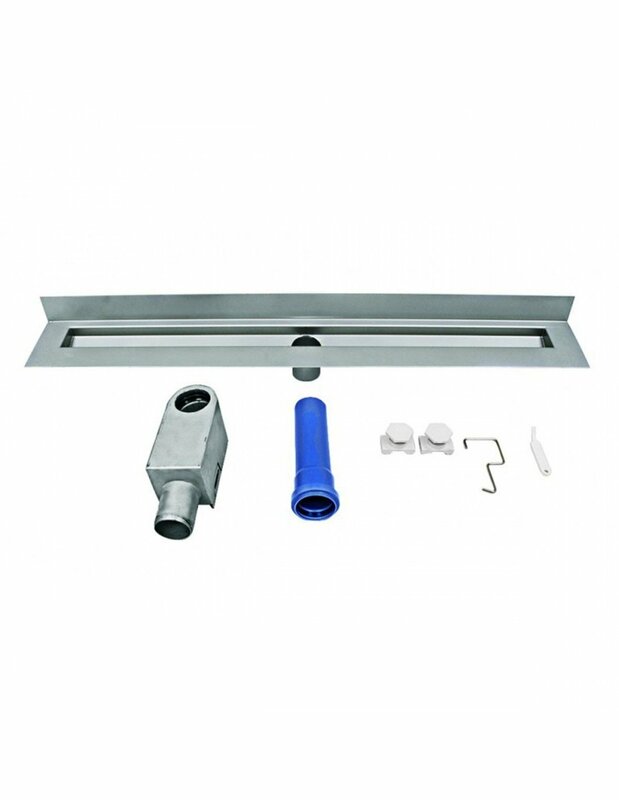 You will receive two parts that can be attached to the edges of linear drain and used to adjust total height of the drain with siphon. We will send them in the same package as the drain. 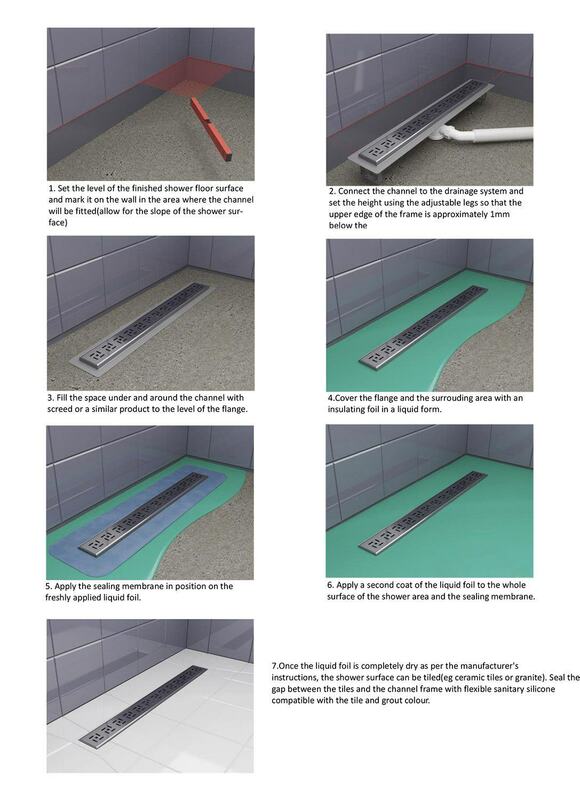 They are not necessary though, and anything can be used to raise the drain. Usually the installator or the plumber decides if they are required or not. Included. Chat started. Session ID: 1556250081. You are now connected to: David M.